Love Ultra Radio spoke Dr. Lakeysha Hallmon, founder and CEO of The Village Market ATL. Find out how The Village Market was created, where she started teaching classes and some of the needs of the community. Listen to the levels of diverse services The Village Market provides, how often the market happens and when the classes are available and what being a good student means. 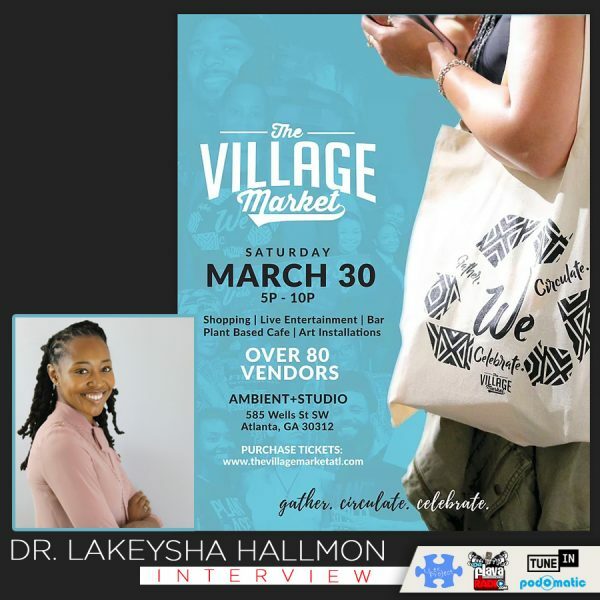 Follow Dr. Lakeysha Hallmon and The Village Market ATL, experience all that is offered and attend the upcoming Spring Fest: Village Market Spring. Support the community movement, spread the good word, attend a master class and find out what Dr. Key Hallmon loves ultra. Click HERE to download or listen to the player below. Listen to Love Ultra Radio, the modern R&B, Soul, Urban and Pop-Fresh mix show heard Tuesday evenings from 9:00 pm to 11:00 pm (Eastern). Jah Prince dedicates the playlist to soul, urban and pop-fresh music, then adds a comedy segment and motivational moment, geared for a mature audience. Love Ultra Radio spoke with creative, digital strategist Anthony Joiner. Learn how he became involved with technology, how cheat codes can help develop learning and what books he has published. Listen to some ways to build your audiences, how technology can be used to grow your projects and how you too can grow your brand. 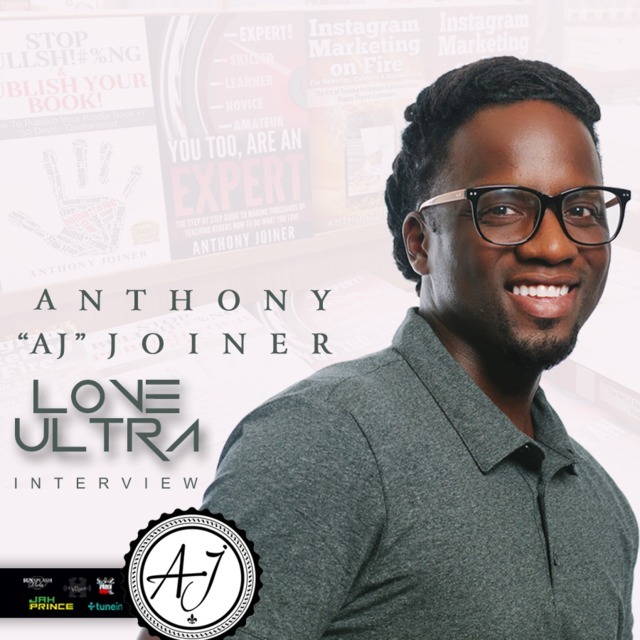 Follow Anthony ‘AJ’ Joiner, find out why he is the most sought after digital marketing strategist in Atlanta and hear what he loves ultra. Jah Prince spins Caribbean, African and American music alongside DJ Rasta Root, as he welcomes you to the 10 year epic event called ‘Face Off Fridays’, held every second Friday at MJQ Concourse. Jah Prince spins live on-air every 3rd Friday during the 2pm – 4pm slot of the Caribbean Runnings Show heard on 89.3fm. This programming is heard all over the streets of Atlanta via 100,000 watts of community funded power. WRFG (Radio Free Georgia) is your station for progressive information and the stream can be heard online at www.wrfg.org. Listen on www.DaFlavaRadio.com for the ‘Sunsplash Mix’, Saturday Mornings from 10:00 am to 1:00 pm (Eastern). Selecta Princess and DJ Jah Prince span the globe weekly and deliver the best in Reggae, Dancehall, Soca, Calypso, Afrobeat and conduct interviews with a wide array of talented personalities. Also listen for ‘Love Ultra Radio, the modern R&B, Soul, Urban and Pop-Fresh mix show heard Tuesday evenings from 9:00 pm to 11:00 pm (Eastern). Jah Prince dedicates the playlist to soul, urban and pop-fresh music, then adds a comedy segment and motivational moment, geared for a mature audience. 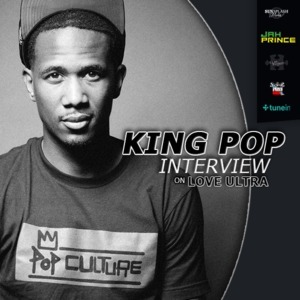 Love Ultra Radio spoke with entrepreneur and creative mind, King Pop. Learn how King Pop’s name was created, where he started designing and what changes are present in the fashion industry. Find out why branding is important, some advice for future artists and more about his artist showcase “Street Dreams”. Follow King Pop Design for all of his hands on projects, hear which non-profits King Pop is fond of and what he loves ultra. Love Ultra Radio spoke with music messenger, “Afromentals”, pure soul selector DJ Jamad. Find out what instrument DJ Jamad played, what cassette he had on repeat and how radio plays a role today. Learn how the “Afromentals” mix series was born, how many volumes are recorded so far and why “Afromentals” mixes are so meaningful. Check out which 5 artists DJ Jamad would choose to create a super group, how nutritional value relates to nightlife and some advice for DJs coming up in this industry. 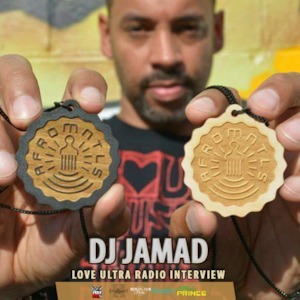 Follow DJ Jamad Afromentals for pure soul food and don’t miss what he loves ultra! Jah Prince spins Caribbean, African and American music alongside DJ Rasta Root, as he welcomes you to the 9 year epic event called ‘Face Off Fridays’, held every second Friday at MJQ Concourse. Listen weekly on www.DaFlavaRadio.com for the ‘Sunsplash Mix Show’ Saturday Mornings from 10:00 am to 1:00 pm (Eastern). This show is also heard on AB+L Radio, MovementsRadio.net and in the streets of Gambia on Vibes FM 106.1 &amp; Radio 971 in Dubai (UAE). Also listen for ‘Love Ultra Radio, the modern R&B, Soul, Urban and Pop-Fresh mix show heard Tuesday evenings from 9:00 pm to 1:00 am (Eastern). Jah Prince dedicates the playlist to soul, urban and pop-fresh music, then adds a comedy segment and motivational moment, geared for a mature audience. 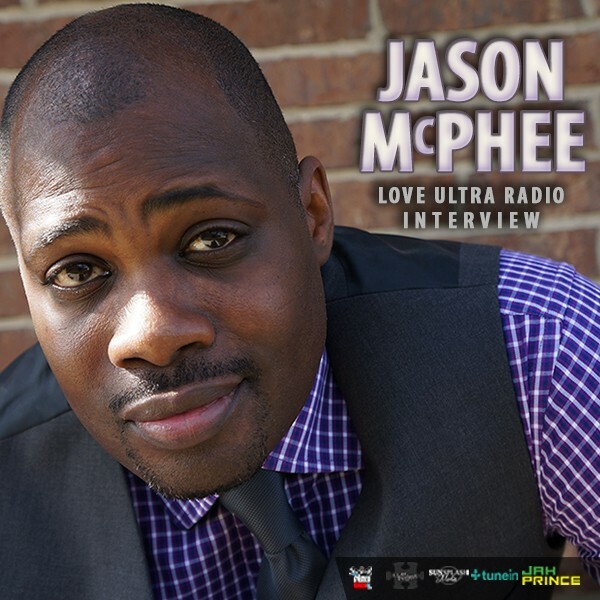 Love Ultra Radio spoke with entrepreneur, Jason McPhee. Find out what businesses he opened, his insight on changes in the Atlanta music scene and some events that happened at his record store. Find out who some of his clients are, some of the projects he has worked on and how opportunity blends with business. Follow Jason McPhee to assist you with business opportunities. Press play to find out what he loves ultra. 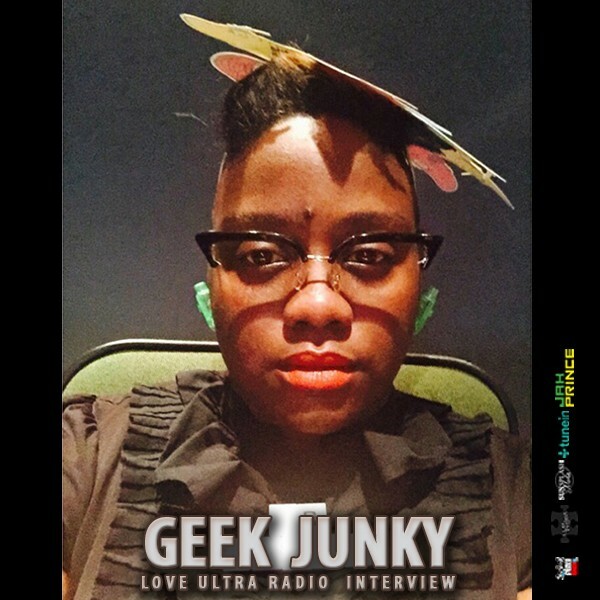 Love Ultra Radio spoke with the owner of Geek Junky, Chanique Quinones. Geek Junky is her plus size, unconventional clothing and accessories line. Find out the inspiration behind her fashion line, what kinds of fabrics she uses, and how the Geek Junky brand was created. Discover what size is considered standard for today’s modern woman, how long a complete look can take to create and advice for up & coming designers. 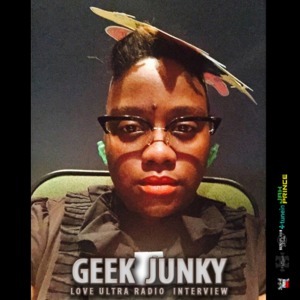 Follow Chanique Quinones, designer of Geek Junky and listen to what she loves ultra.